Wildlands need their full complement of species to maintain their ecological integrity. Thus it has been heartening to see the gray wolf repopulate the rugged northern Rockies and expansive western Great Lakes in recent years. But postage-stamp populations of wolves on the American landscape is not comprehensive recovery, and this underscores as misguided and premature the U.S. Fish and Wildlife Service’s proposal to strip critical protections for wolves in nearly all of the lower 48 states. Sally Jewell, our new Interior Secretary, will soon be making the decision whether or not to remove safeguards for wolves across the country. Alarmingly, the current proposal would strip protections for wolves in places they have yet to return, like Utah’s Wasatch Range and wildlands across other iconic American landscapes that continue to feel the absence of the gray wolf. It is clear the gray wolf recovery mission is not accomplished. 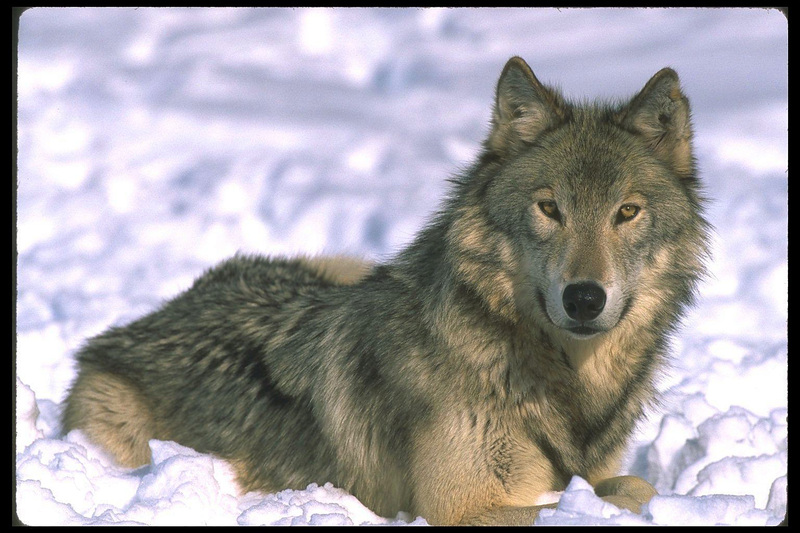 Scientists strongly agree that significant habitat continues to exist for the wolf. Recently, 16 of our nation’s prominent wolf and ecological scientists sent a letter to Jewell calling on her to maintain protections for wolves, and the secretary should heed their advice. Gray wolves need continued protections because they are necessary for ecosystem balance and because they are an economic driver for communities around them. In Yellowstone National Park, where wolves have returned, landscape health is being restored. Scientists have documented that wolves keep elk herds alert and may prevent overgrazing of sensitive streamside areas. With the presence of the wolf, there has been a documented positive effect upon many other species, from songbirds to fish to beavers. Research shows that wolves are not just good for ecosystem health, but also for the economy. The return of wolves to Yellowstone brings an estimated $35 million in annual tourist revenue to surrounding communities. Seeing wolves often entails filling up the gas tank, grabbing breakfast at the diner, booking a room, and hiring a guide. Wolves are big business in this part of the country. But there is another reason to restore wolves. Wolf restoration epitomizes our country’s true commitment to restoring the nation’s wildlife patrimony. And we have a responsibility to our children and grandchildren to be good stewards of the wild American landscapes from which we so effectively exterminated wolves. But in order to do so, they need maintained federal protections.State management isn’t promising. Utah’s Legislature has already tried to make it a "wolf-free" state if federal protections are stripped. In Montana, Wyoming and Idaho, nearly 1,200 wolves have been shot or trapped since the federal government in 2011 removed protections for the northern Rocky Mountain gray wolf population and handed management over to states. We need to look after the wolves. There are too many cruel people who want to see them exterminated, and it is grossly unfair. It is time that the wolves are protected from those who want to harm them. The wolves need to be protected from the cruelty of those who want to harm them! The current wolf massacre has completely changed my view of my own country. We are no longer thoughtful people. We will commit the greatest cruelty, if someone can make a buck. These people would sell the sun if they could. These are amazing animals, so close to us in their behavior. So close to the best of us. We need to protect our Wolves let them live and run free this is how our Creator ment them to be! !